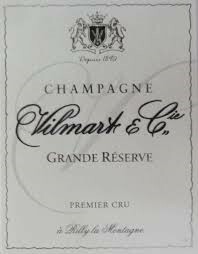 The Vilmart NV Grande Reserve represents a blend of relatively young vines of Chardonnay with around 20% Pinot Noir. These are from vintages 2009 and 2010, though the result displays a surprising degree of lees autolysis in the nose, joined by smoky and chalky nuances that come out more emphatically on the silken, finely effervescent palate. Suggestions of jellied red currant along with apple and lemon – as well as a faint aura of barrel – put me a bit in mind of Chassagne-Montrachet. This finishes with bursting brightness, ringing clarity, mouthwatering salinity, cheek-pinching piquancy, and consummate refreshment. It should fare deliciously for at least the one or two years.